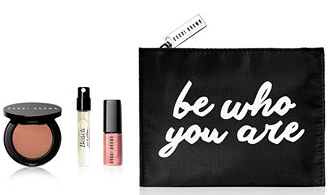 Every once in awhile, your favorite beauty brand might offer a gift with purchase. Honestly, that’s my favorite time to shop Macy’s Beauty because my beauty dollar stretches so much further! But right now, there are over 100 beauty gifts with purchase available right now at Macys.com! You’ll find beauty gifts from many of your favorite beauty brands, from Benefit and Bobbi Brown to Tweezerman and Too Faced. Beyond gift from your favorite beauty brands, Macy’s is also offering a free mystery gift with and $50 beauty purchase (online only). And you can shop Macys.com Beauty without worry because you’ll receive free shipping and returns with any beauty purchase.